When the scope has been securely mounted, the rifle should be sighted in with the cartridges you will be using. Notice that trajectory tables for cartridges are usable only, when the rifle is sighted-in as directed in the tables. 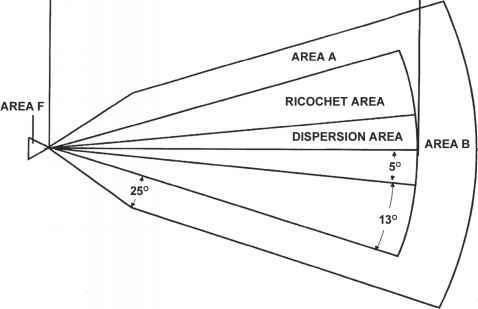 Notice also, that differences between two different loads from the same rifle do not necessarily follow differences in the trajectory tables. That's why the rifle should always be sighted-in with a load that you are going to use. To start sighting in procedure, place the rifle solidly on the some kind of bench rest or other support, and remove the bolt. Look at the target through the bore at about 25 - 30 m (27 - 33 yards) distance. Then look, without moving the rifle, through the scope, and adjust windage and elevation so that reticle centers on target. (The same thing can be achieved also with a proprietary bore-sighter, which can be used to check the alignment of the bore and the scope.) After this preliminary bore-sighting, it is then time to proceed to final sighting-in by shooting at 100 or 150 m (100 or 150 yards) distance. The best way is to shoot from a good bench rest, supporting the rifle on, for example, sandbags either under the fore-end, or under both the fore-end and the stock. Never support your rifle under the barrel, or shoot by using a solid support, as grouping can be dramatically affected. Otherwise, follow adjustment directions given in Instruction Manual of telescopic sight to be used.